Here's How You Won't Ever "Cold" Call Again, Get New Customers By Prospecting Painlessly, and Never be "Rejected"
Do you dread calling prospects? Are you sick and tired of rejection? Prospecting for customers is a necessary part of doing business, but you don’t have to suffer through it anymore. Now Art Sobczak is sharing his proven system for selling by phone in Smart Calling: Eliminate the Fear, Failure, and Rejection from Cold Calling. Instead of using tired old formulas and scripts that customers recognize and dismiss from a mile away, you'll find an intelligent method for engaging prospects in conversations that get results. Art Sobczak works with thousands of sales reps each year helping them get more business by phone. In Smart Calling, he lets you in on what he’s learned from more than 33 years' experience. You’ll get the field-tested, practical information you need to make your calls work. Never be rejected again, and MORE! 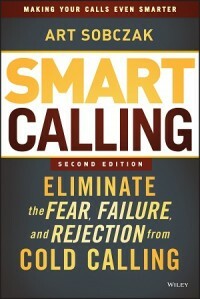 See two actual chapters, plus more reviews on Smart Calling. "If you make cold calls, and want to make them smarter, better, more fun, and actually convert them to sales, THIS IS THE BOOK! Buy it to increase your call to sale ratio, and your sale to bank account ratio." "Smart Calling should be on the desk of every Sales Manager so they can empower their salespeople with a highly professional approach for engaging prospects and turning them into customers. 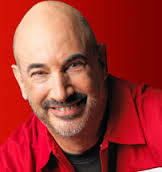 When it comes to creating a sales force that can prospect, Art Sobczak delivers the best results." Smart Calling helped me to close one of 5 biggest deals in our office history and literally saved my job. 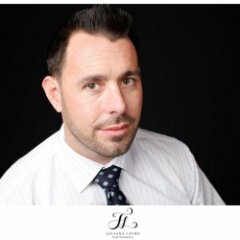 It is a must read for any sales professional looking to improve their close ratio and appointments set using the phone. You'll get a one-hour video workshop on How to Place the Successful Sales and Prospecting Call. Art shows you the Smart Calling components, along with examples, to help you place your own successful call! ADDITIONAL FREE BONUS: You will get a free copy of the ebook, "Getting Through to Buyers--What's REALLY Working." You'll see the secrets of fellow sales pros in the field, and what they are doing right now to get in and sell. You will get all of this free just by buying the book. Follow the steps below. See what actual buyers and users are saying about the results they are getting with Smart Calling.